I was a kid when A New Hope, Empire Strikes Back and Return of the Jedi were released in cinemas. I did watch them with my parents and I remember enjoying them a whole lot but I didn’t really understand a whole lot of what was going on. All I really remember were a few flashy scenes like when Darth Vader fought Luke Skywalker and the latter cut off his hand with a lightsaber, the introduction of the Ewoks and how freaky Jabba the Hut looked like while he pulled on Princess Leia while she was wearing the famous gold bikini. Hey, I was a prepubescent when Return of the Jedi came out but I knew Slave Leia was something else! Stirring up young boys’ loins since 1983. So, when then announced they were re-releasing the entire Original Trilogy in cinemas, I was excited! I can say I was there but I didn’t really experience the thrill ride it was since I didn’t actually follow anything that was happening then. But this wasn’t just an ordinary re-release. No, George Lucas was going to go back to the original prints and make some changes to the films. They were going to update the special effects to make things look up to modern standards and even rework some footage to more align with George Lucas’ original vision that wasn’t possible due to special effects limitations at the time. These were going to be the Special Editions we know today. While I did enjoy seeing these movies on the big screen with some of the updates, I did feel they were strange. The stories were mostly intact and some scenes were actually made better by these changes. But not everything was made better, which did make me wish to see the original versions of the Original Trilogy. Unfortunately, George Lucas didn’t want me or any other fan to see what the Star Wars films looked and sounded like as there is no modern home version of A New Hope, Empire Strike Back or Return of the Jedi that isn’t some kind of “special edition” or changed in some way. Essentially, George Lucas cockblocked Star Wars fans from viewing the original versions of the films that made them Star Wars fans in the first place! In a way, I can understand George Lucas and why he made a lot of the changes and why there hasn’t been an official release of the original or “despecialized” versions of the Star Wars saga. Remember, to him, this is the “definitive” version of the movies he envisioned long ago. Not only that, as this was the time when he was working on the Prequel Trilogy, he had to edit a few things to make the Original Trilogy retroactively fit with the films he was working on. But George Lucas isn’t in charge of the Star Wars franchise now, is he? No, it’s Disney that has the power of the Force behind it. So, wouldn’t it be a good idea if they finally released “despecialized” versions of the Original Trilogy? First off, re-releasing the “despecialized” versions of the Star Wars Original Trilogy would be a win-win for both Disney and the Star Wars fanbase. You know fans have been clamoring for George Lucas to give them the original versions of the films but those pleas have essentially fallen on deaf ears. Lucas was so hellbent on ensuring that the only home release versions you get to see of Star Wars were the ones where he made a ton of changes. Maybe these modifications were made with the purest of intentions but, at some point, I do feel Lucas went overboard as each and every subsequent release of the film to the home market have some kind of change. Take the infamous “Han shot first” argument. In the original version of A New Hope, Han, who was just hired by Luke and Obi-Wan, was about to leave but is stopped by the bounty hunter Greedo as the smuggler has a huge price on his head. They calmly chat for a bit but Han Solo, being the rogue that he is, shoots Greedo under the table. The cantina stops to look at the commotion but, then realizing someone just got shot, they go about their business since it’s something that probably happens in there every night. In the Special Edition, it had Greedo shooting first and missing, allowing Han to shoot him “in self defense.” This angered fans because it took away the idea that Han wasn’t on the up and up and someone who you shouldn’t trust because “Had shot first”. But George Lucas wasn’t done with this scene because he them made even more changes to this scene with both Greedo and Han shooting at practically the same time or Greedo shooting a split second first but Han twitches his head a bit to dodge the shot! It may seem like a weird thing to get upset over because it really shouldn’t matter all that much if Han shot first or not because he still retained the character after that scene. He was still the fast-talking, cocky rogue he was. Yet fans were practically rioting in the streets because of this change. Such is the reality of Star Wars fandom. What makes this really upsetting to fans who are in the “Han shot first” camp is that the original scene can’t even be found anymore in modern home releases. This isn’t the only thing that has been stricken from Star Wars canon. The original Force ghost in Return of the Jedi of Darth Vader now looks like Hayden Christensen (but Obi-Wan’s Force ghost doesn’t look a thing like Ewan MacGregor). They altered the scene where Darth Vader attacks the Emperor by having him scream that ear-grating “Nooooo!” while he tossed his former master in a pit. The worst change for me is the ending scene in Return of the Jedi. Not only did they had grand celebrations on other planets of the Empire’s supposed demise (did I just hear Jar Jar Binks yell out “Weesa free”? ), but they even removed the Ewok’s celebration song, Yub Nub! I love that song because it was silly and catchy but they had to remove it, didn’t they? I would definitely pay good money to see Yub Nub back in the “despecialized” version of Return of the Jedi! And there certainly is a market for a “despecialized” version of the Original Trilogy! There are already some fan edits that have faithfully reconstructed and re-edited the films so that they’re in their original form and fans have been going gaga over them. I do feel a twinge of sadness, though, that the only way to get the original versions of one of the most renowned film franchises of them all is because fans had to slave and piece together old footage and remux the audios because the guy holding the intellectual property refused to let us see them. Disney can definitely remedy that by selling the Original Trilogy in its former glory… and make a million bucks while doing so. Second, I think re-releasing the original versions of the Original Trilogy would be a nice way to apologize to the fans who are upset by The Last Jedi. One of the biggest complaints of The Last Jedi by fans who hate it is that it doesn’t “feel” like a Star Wars movie to them. I can’t really agree with them because I thought it was a fantastic movie but I do respect their opinion and I can kind of see things from their point of view as it takes a lot of chances and does vastly differ from the tone of the George Lucas’ original films. 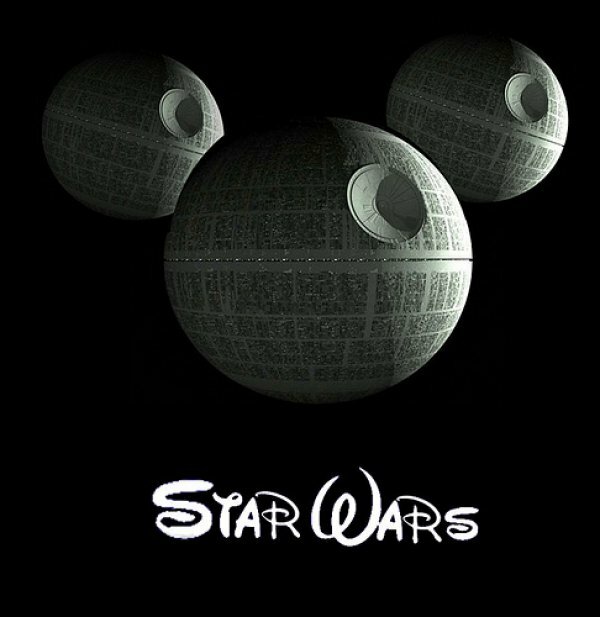 So, to appease the fans who are upset by their new Star Wars film, Disney should give the fans what they want: the Star Wars films that really feel like the films they want. And what would be more Star Wars than the original versions? I’m sure they’ll love them… as well as the fans who actually enjoyed The Last Jedi (such as myself). Ultimately, I and many other fans would love to see the original versions of A New Hope, Empire Strikes Back and Return of the Jedi and not the version that added so much superfluous things to them. I do hope Disney does give the fans the films we fell in love with way back when. Heck, even if it comes with the Star Wars Holiday Special, I’ll still buy them! Which version do you prefer? The “despecialized” version or the Special Editions? Let me know in the comments section below!